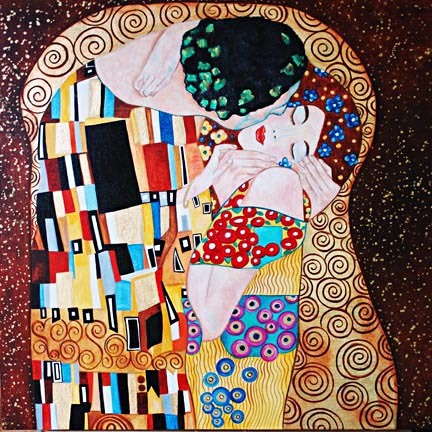 is a close up of the upper bodies and not of the full Klimt painting. The Kiss as it is my very favorite of his works. Working in Gold Leaf is a challenge but very interesting and fun. I look forward to adding more to this series. reflects the gold leaf in the composition. and parts of the flowers in her dress. So hard to see in a photo. Really happy with the way it came together. 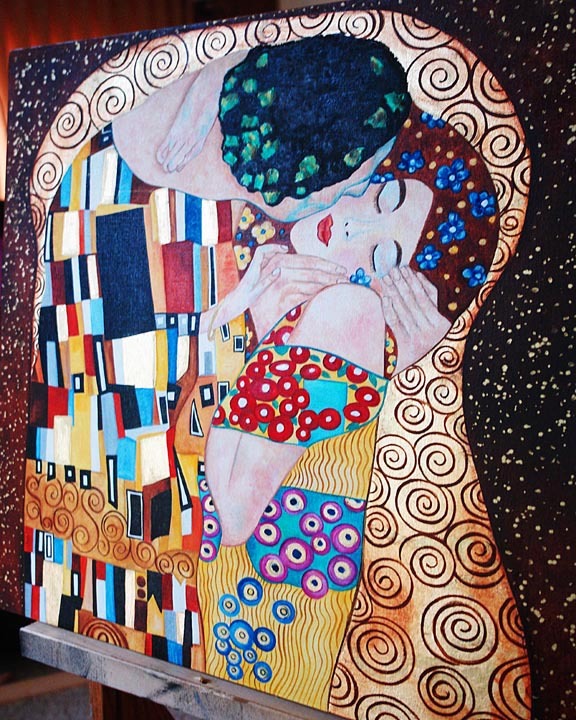 The Kiss (Lovers) was painted by the Austrian Symbolist painter Gustav Klimt between 1908 and 1909, the highpoint of his "Golden Period", when he painted a number of works in a similar gilded style. 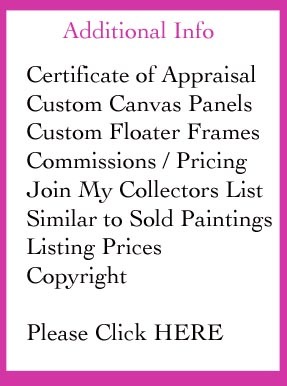 A perfect square, the canvas depicts a couple embracing, their bodies entwined in elaborate robes decorated in a style influenced by both linear constructs of the contemporary Art Nouveau style and the organic forms of the earlier Arts and Crafts movement. The work is composed of oil paint with applied layers of gold leaf, an aspect that gives it its strikingly modern, yet evocative appearance. The use of gold leaf recalls medieval "gold-ground" paintings and illuminated manuscripts, and earlier mosaics and the spiral patterns in the clothes recall Bronze Age art and the decorative tendrils seen in Western art since before classical times. The man's head ends very close to the top of the canvas, a departure from traditional Western canons that reflects the influence of Japanese prints, as does the very simplified composition.